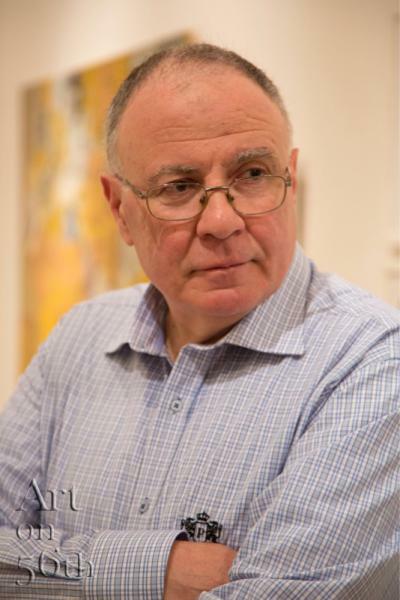 World-renowned and critically acclaimed Syrian artist Abdullah Murad was born in 1944. He is a graduate of the Faculty of Fine Arts from the University of Damascus in 1970. 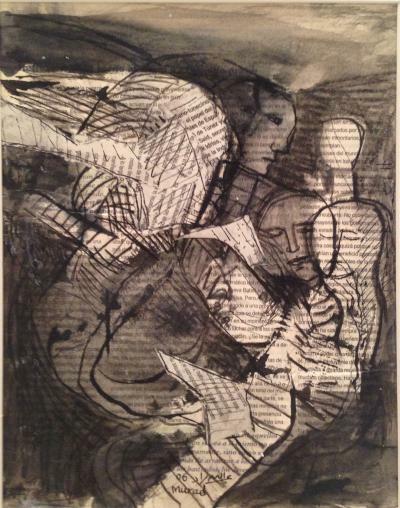 Murad is considered to be a pioneer of abstract expressionist Arab art. He won first prize at the Greeting to Miro and Picasso Exhibition at the Spanish Cultural Center. Murad's work has been displayed at many international group and solo exhibitions in his hometown, Lebanon, France, Turkey, Bulgaria, Switzerland, UK and the Gulf. His work has also been a part of public and private collections including France, Germany, Switzerland, Bulgaria, Turkey, Bahrain, Kuwait, and the Sharjah Museum in UAE. 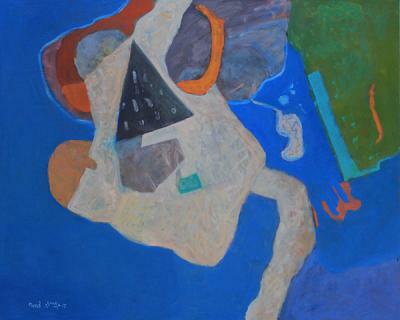 Murad’s paintings and drawings feature arabesque concepts and are deeply influenced by the fauvist colors and the abstract expressionist movement. His paintings are experimental and wild in the use of color and movement, exposing layers of details varying from thick impasto to transparent and mixing media textures, newspaper collages, and cut-outs. A contrast of area treatment and asymmetrical compositions dominate his paintings, allowing an intriguing alternation of space expansion.